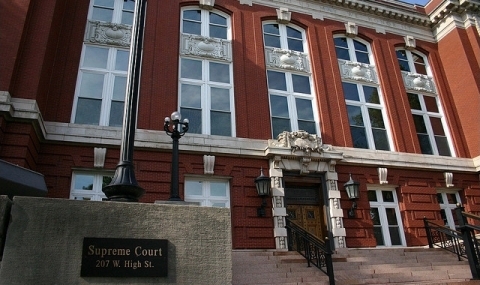 The Missouri Supreme Court unanimously agreed to allow public access to a formerly secret attorney disciplinary hearing, as well as to future disciplinary hearings. Lewis Rice attorney Benjamin A. Lipman represented Missouri Lawyers Media, which sought access to the Office of Chief Disciplinary Counsel's hearing regarding allegations against some lawyers at the firm of Hais & Hais. Missouri Lawyers Media and the Hais firm opposed the confidential proceeding. Benjamin filed a motion with the disciplinary panel on behalf of Missouri Lawyers Media. After the motion was denied, Benjamin filed a writ with the Missouri Supreme Court. Within hours, the high court temporarily halted the proceedings and ordered the disciplinary panel to respond to the writ petition. Two days later, the Missouri Supreme Court granted the writ in favor of Missouri Lawyers Media, opening up most of the proceedings. The decision pointed to a recent rule governing the Missouri Bar and judiciary which sought to make such hearings more public and transparent.